The independent National Human Rights Commission of Thailand is one of the few national human rights bodies in the world that investigates the overseas activities of private companies registered in its territory. At the conclusion of its investigations, the commission issues public reports detailing its findings. The commission also has the power to file lawsuits in Thai courts on behalf of complainants to redress human rights violations. 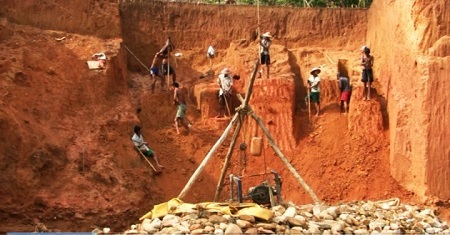 Photo: Gold mine near Karen villages in Myanmar. Source: Karen News.